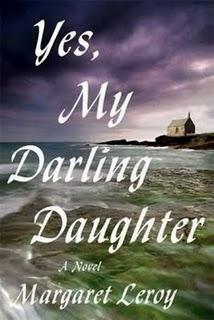 The above excerpt sets the scene for Margaret Leroy’s Yes, My Darling Daughter. Margaret Leroy offers a novel that is so original and suspenseful it pulls you in from the first page. The story involves Grace, a single mother who works full-time at a London flower shop, and Sylvie, her four-year-old daughter. Things become complicated and strange when Sylvie begins to display behavior that is out of her nature and involves mean-spirited actions at preschool and with friends. She begins to have tantrums, outbursts, and a strange fear of water. These sudden changes seems mysterious, and Sylvie's psychiatrists blame Grace. Grace knows there's something happening to her daughter that can’t be explained and is beyond her control. To help understand Sylvie's trouble, she decides to seek help from Adam Winters, a university professor who has studied paranormal behavior. Adam has theories about what is happening to Sylvie that prompt the three to travel together to Cold Harbour in order to understand Sylvie’s connection to the area, particularly to the house she continuously draws thought she has never been near it. Set in London and Ireland, Yes, My Darling Daughter provides a backdrop full of characters that are intriguing and moves along with a past life twist told by an uninvited character. Leroy’s words entice readers into a nonstop and exciting murder mystery. If you enjoy the idea of visits from the other side, this book will satisfy your paranormal appetite.